Born and raised in Detroit, Gael still harbors a fondness for Motown music and Tiger baseball but three-plus decades of living in her “adopted” hometown of Milwaukee leave no doubt where her loyalties lie. 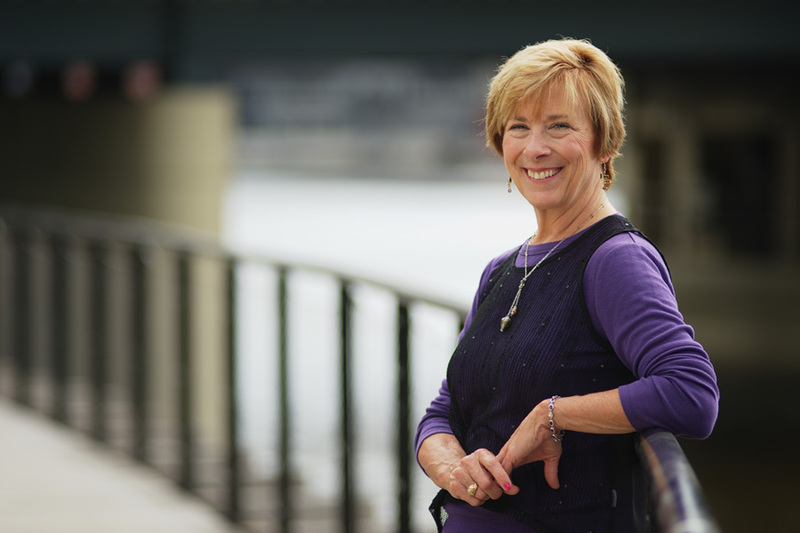 She loves telling stories about and for Wisconsin businesses, people and organizations. And her background in news and PBS documentary production give her a special flair for getting to the heart of a story. Gael welcomes the challenge of tackling a complicated subject matter and making it user-friendly, often in the healthcare or environmental areas, but give her a non-profit organization with a great cause to promote, and she truly shines. It’s no surprise, then, that one particular “spare time” passion is the Steve Cullen Healthy Heart Run/Walk, raising money for heart research here in southeast Wisconsin. As a producer (and a wee bit of a control freak! ), I love taking a Plum client through the process of coming up with a creative idea, helping to determine the best platforms for delivering it, and then executing on that concept to exceptional result with the collaboration of my uber-talented co-workers. Most every aspect of my work brings me joy, but interviewing interesting people, capturing the essence of who they are, and then sharing that story with others is a personal favorite.